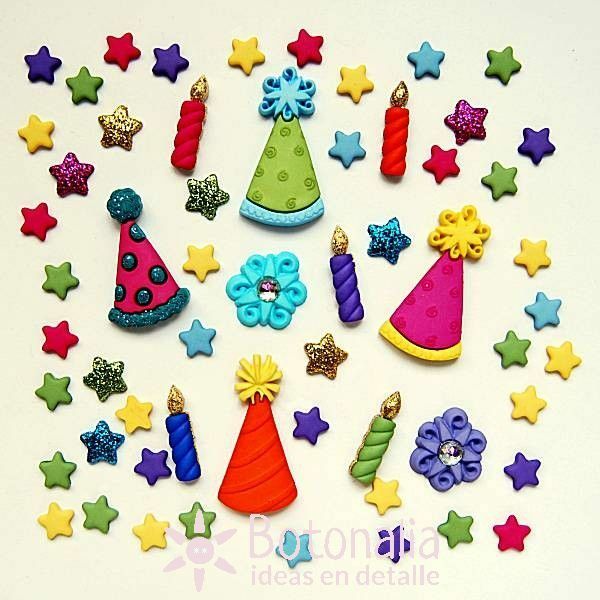 Product Description: Embellishments with designs related to a children's party. Ref. Dress-It-Up: 4710. To be used in craft, scrapbooking, card making, patchwork and general sewing projects. 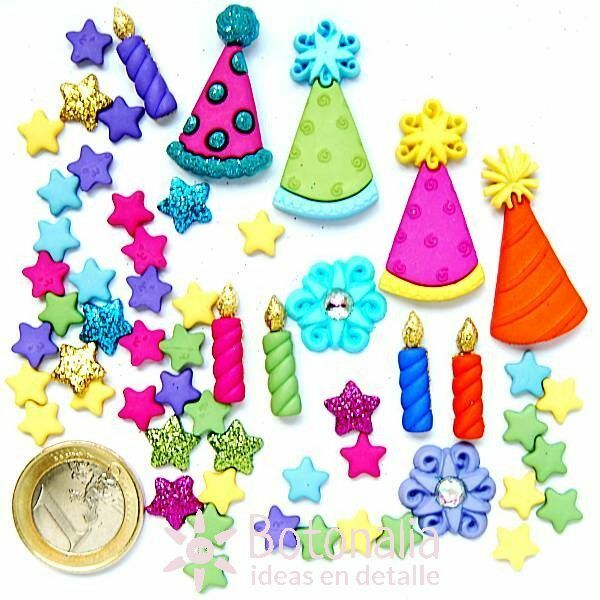 Content: 10 embellishments in three different models and 50 little stars in different colors. Diameter: between 10 and 36 mm.